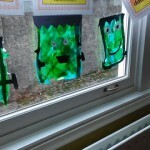 Radiating positivity from Room 4! 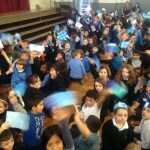 We wanted to try to make a difference in the school today and put a smile on everyone’s face. 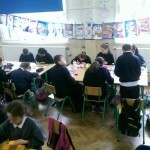 We then took to the streets of Rathmines to distribute some positive post-it notes to people in our community. 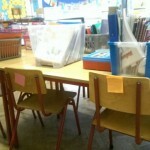 Task: Take your positive post it note, giove it to someone else; that way YOU are putting a smile on someone else’s face too. 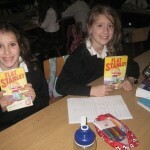 Make a difference! 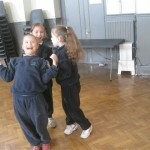 Make the little bit of the world that you’re in a better place because YOU’RE in it! 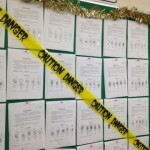 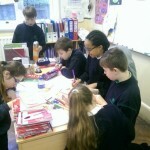 The boys and girls in Room 15 were very busy learning all about fingerprints. 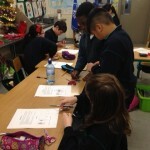 They learned about the structure of the prints and how each print is different. 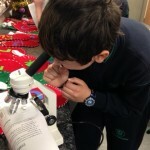 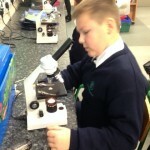 Then they used the microscopes for ‘closer’ investigation! 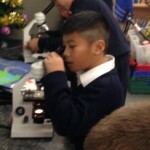 It was super being scientists!! 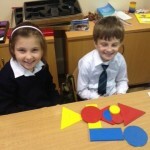 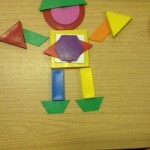 Room 1 have been learning all about 2D shapes. 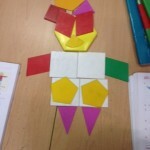 We really enjoyed making our own 2D shape people! 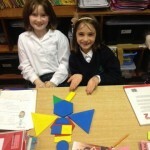 What 2D shapes can you see? 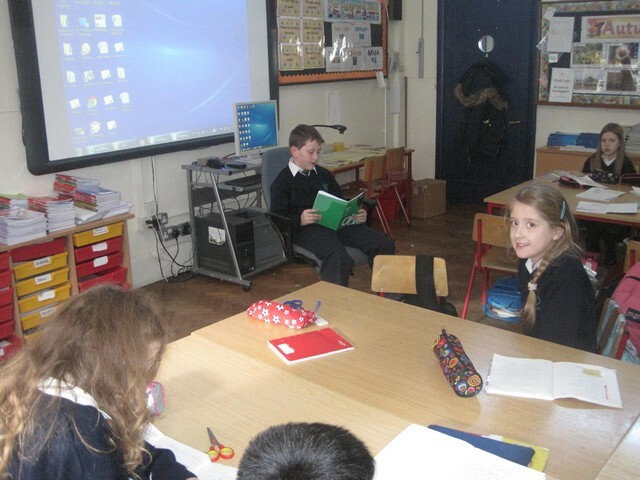 During Friendship Fortnight room 2 created their own recipes for friendship and shared their work with the class. 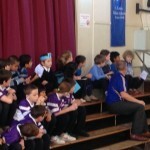 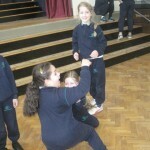 Room 2 – Drama stars! 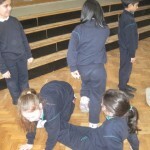 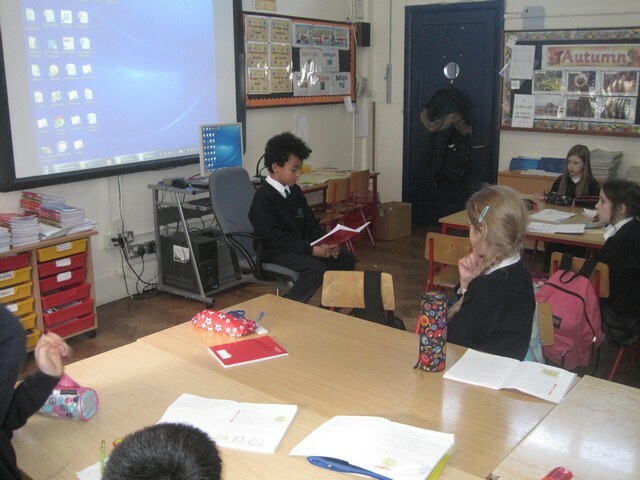 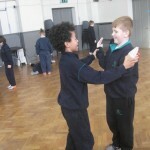 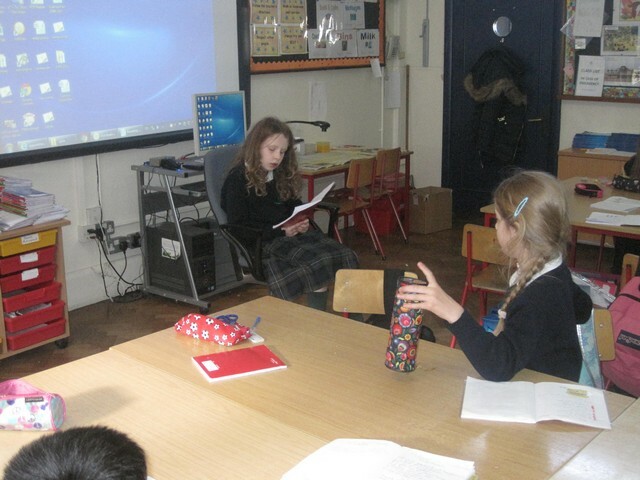 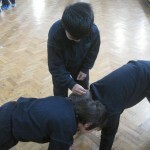 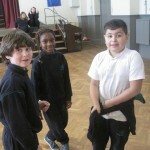 Room 2 enjoyed performing and watching improvisational drama activities in groups. 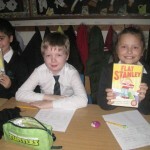 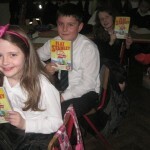 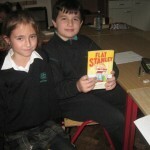 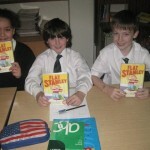 Room 2 have been reading the novel Flat Stanley by Jeff Brown and completing literacy activities on the novel. 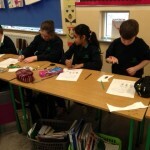 The pupils in Room is were busy learning about transpiration in plants. 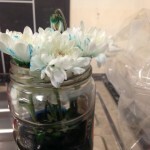 We learned about how the water travels up through the plant and onto the leaves/petals to be evaporated. 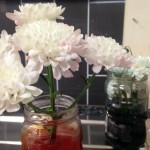 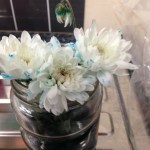 We showed this by doing an experiment on transpiration with white flowers and food colouring with water. 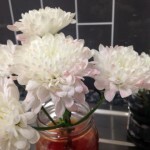 The colouring travelled up through the flower and onto the petals where it was evaporated. 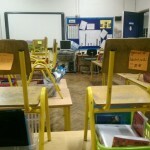 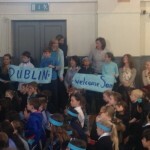 Today the pupils were all very excited to gather in Halla Cullen to welcome some special visitors to St. Louis. 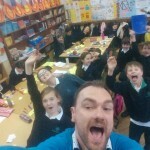 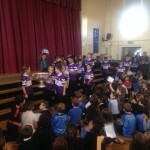 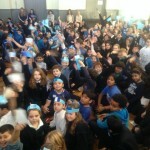 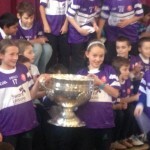 Dublin GAA player Kevin Mc Manamon came to the school with the Sam Maguire cup that Dublin won in the All-Ireland Final this year. 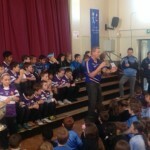 He spoke to the pupils about what it was like to be a Dublin GAA player and he also answered questions from some of the pupils. 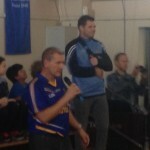 He was also joined by Niall Cooper and Ger Mc Tavish from the Dublin GAA board. 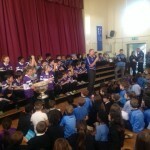 It was super to meet such a great star and see the trophy. 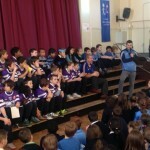 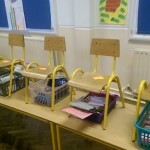 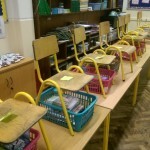 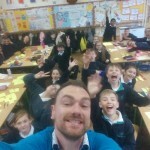 Thanks to Mr. Bermingham for organising it all! 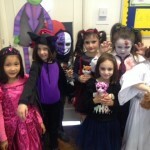 Happy Halloween from all the boys & girls in Room 1! 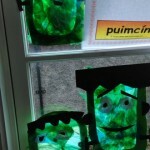 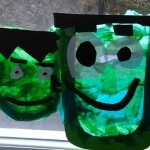 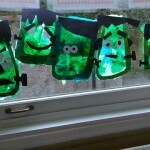 In Room 10 we made Frankenstein sun catchers!